Growth hormone injections can mean different things depending on who you ask. When it comes down to the good, the bad, and the ugly of HGH, it’s all about context. For some, they’re a lifeline to combating disease. Alternatively, it’s simply an answer to slow the clock for wealthy men past their prime. But just as there’s a dark side of the moon, growth hormone injections have a shadowy personality too. On the opposite side of the coin, they’re used and abused by athletes looking to ensnare a winning edge and are banned in many professional sports. A trend kickstarted by the Olympics in 1989. When hard work, blood, sweat, and tears just aren’t enough, players still turn to the syringe instead. Many a rising young buck or dominating superstar has had their career cut short by temptation. Forever tarnished as a “cheater” in the eyes of their fans. But that’s only in the likes of baseball, football and, cycling. For some reason, bodybuilding often has a completely alternative outlook on the situation. Today many bros on a mission to forge slabs of meaty muscle stack growth as nonchalant as their creatine or pre workout. It’s not something to be whispered about in the shady corner of a locker room, many pros will tell you it’s compulsory. Growth hormone is also known as somatotropin, human growth hormone, hGH, or HGH. It’s a peptide hormone that stimulates cell production and regeneration. It also kick starts growth and is therefore vital in our development as human beings. HGH is created and then secreted by the pituitary gland in the brain. When released, it gives the liver a nod to produce Insulin-like growth factor -1, IGF-1 for short. IGF-1 is an awesome hormone because it initiates the growth of both tissue and bone. This includes the likes of; skin, muscle tissue, our vital organs, and the skeleton that our guns are mounted upon. Naturally, the pituitary gland releases HGH in bursts, and around 20 times per day. When homeostasis is in order, more of the hormone is released during the night when we sleep. 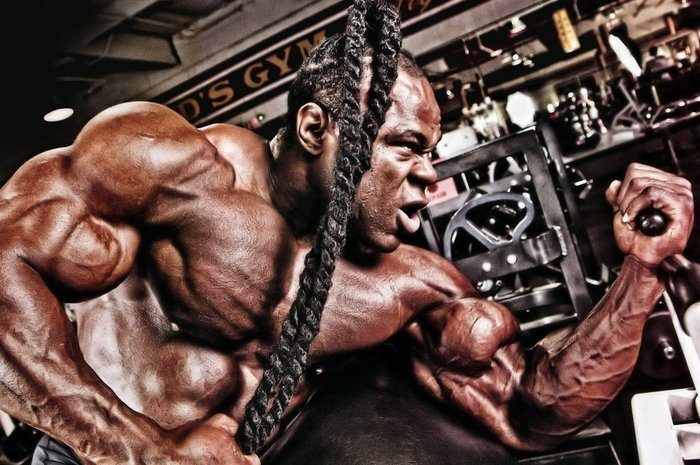 It’s not uncommon to hear of bodybuilders napping a lot for this exact reason. Scientists say that growth hormone production rises during childhood. Understandably, this is when we literally grow the most, especially during adolescence. It is said that peak production happens at around 20 years of age and then slowly tapers off as we age. Hence the prescription of growth hormone to treat many of the elderly population in the US. It doesn’t take a degree in biology to understand that growth hormone has its benefits. Today it is even prescribed by professional physicians, to treat various diseases and complications. For example, children who possess a very short stature due to HGH deficiency are administered the hormone via injection. Occasionally, a similar treatment can also be applied to help fight Turner syndrome, Prader-Willi syndrome, and chronic renal failure. A strand originally taken from human cadavers was used to treat youngsters with dwarfism in the 50s but had grizzly unfortunate results. Namely, a fatal degenerative brain disorder called Creutzfeldt-Jakob Disease. However, today HGH is no longer taken from fresh corpses, and instead, a biosynthetic version is used. We have Genentech to thank for that one who developed it in the 80s. Deficient adults can also be prescribed treatment. 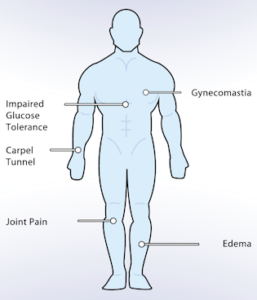 Symptoms of low growth hormone include arthritis, decreased immune response, reduced lean muscle, and excess fat. Yet, treatment for adults via injection isn’t nearly as common as that used for children. And whilst doctors bill them as “anti-aging”, they only slow down the inevitable at a hefty price. You’ve probably already guessed that there is a tonne of benefits from injecting human growth hormone. All of that might sound pretty appealing us the general population, right? So it’s no wonder some athletes just can’t/won’t resist the temptation of the needle. As always though, for every action, there’s a reaction. So when it comes to growth hormone injections the multiple pros are measured out by an equal if a not greater number of cons. We’ll take a look at those later, but for now, let’s look at its uses. Because SpotMeBro is a website dedicated to bodybuilding and fitness we’re gonna concentrate on the sporting side here. Now we’ve already established growth hormone has its medical advantages, but what about for athletes? How can sports stars like pro bodybuilders or baseball pitchers use HGH to their advantage? Studies show that although HGH promotes increased muscle mass. That’s a given. But the same studies state it doesn’t necessarily directly relate to improved athletic performance. One common usage of human growth hormone injections is to speed up recovery. Ensuring bone, tendons, and torn muscle tissue can grow back quicker and stronger. 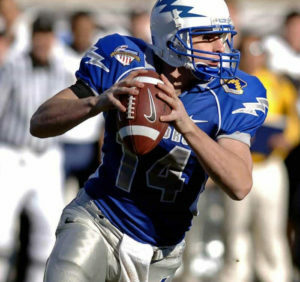 For an injured athlete, HGH may get them back on the field in half the normal time. When you’re making killer cash and a sporting career is your entire livelihood, some go for this proven method. Sticking a huge middle finger up to mother nature in the process. 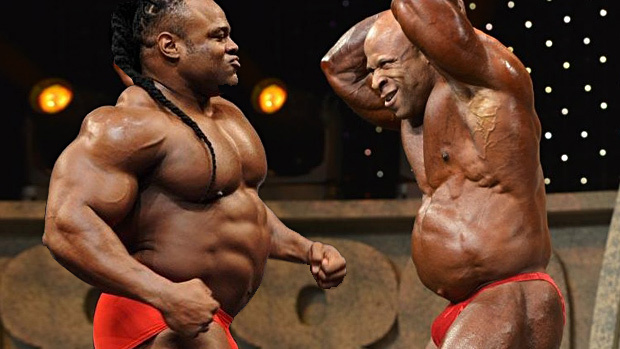 During the 70s and 80s, there was a shift in the bodybuilding sphere. All of a sudden competitors started considerably adding to their physique and looking more shredded than ever. Many people within these circles put this down to growth hormone use, which helped lifters burn through fat and increase size due to boosted sarcomere hypertrophy. But it appears that this image doesn’t represent the whole picture. 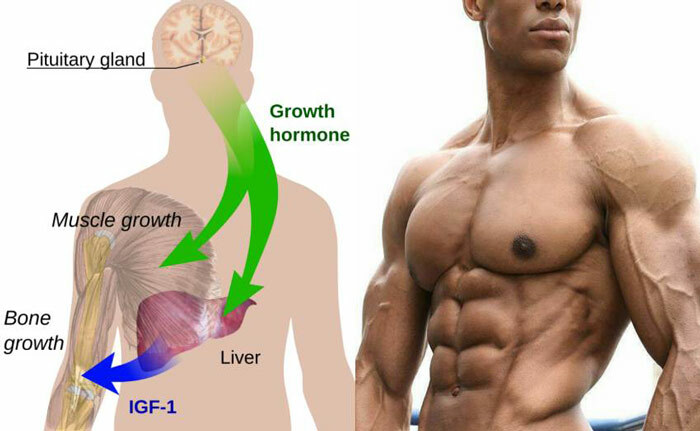 Growth hormone might not actually be the silver bullet bodybuilders are searching to hit their target physique. 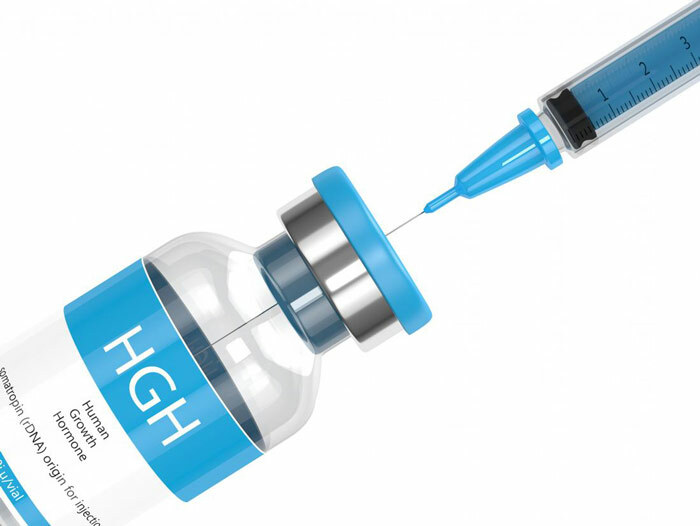 On its own, injecting HGH does little for building a lot of lean mass. Although an anabolic, it does not facilitate increases in size and strength as well as other anabolic steroids. Therefore, growth hormone injections are stacked with other performance-enhancing drugs to make the most impact. By redirecting calories away from fat synthesis and towards protein synthesis, it supports other anabolic drugs specifically taken to increase strength gains. 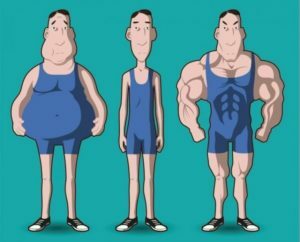 So whilst HGH might not directly make you stronger (unless you have amazing genetics), it can indirectly by boosting the effects of other anabolic steroids. It’s very rare that anything is medically administered without side effects. Growth hormone injections are no exception to the matter and have various negative side effects. When taken at low doses, like those prescribed by medical professionals, side effects are minimal. Now, none of the above may seem too life-threatening. For those who choose to use HGH the pros far outweigh the cons. But it’s common knowledge that in the realm of bodybuilding it’s go big or go home! And unfortunately the same has to be said for doses of growth hormone. When taken in above average amounts HGH begins to pose a fistful of other threats. They’re not as dangerous or severe as other anabolic steroids but are by no means ideal for overall health. Some of the following external effects have become a staple scene within the bodybuilding world. They’re considered “normal” (whatever that means) everyday practice in serious competitive iron houses and on the judging stage. Unless, of course, you’re competing as a natural athlete. No one cries to the WADA gods and throws the book at anyone with a whiff of growth in their system. It’s almost business as usual when it comes to both pros and amateurs alike. For many, the above is just a price to pay to take their body to a totally different level. The normal everyday person might see that as extreme. But the reality is it’s all a sacrifice and a chance certain athletes are willing to take. Due to the relatively short time growth hormone has been used for sports there is not much research highlighting long-lasting side effects. Not that from extended use anyway. 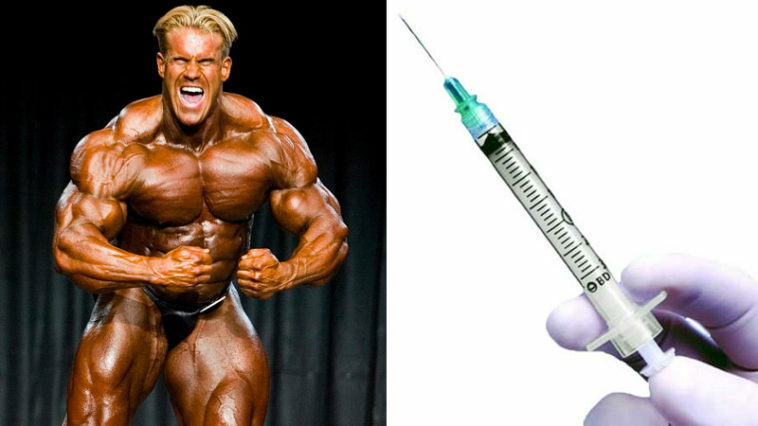 Injecting growth hormone can be an effective way of increasing muscle size, protein synthesis, and fat utilization. Growth hormone injections are a legally administered method of treating certain diseases and complications. Low doses are often prescribed, with minimal risk of side effects. However, at higher doses, the severity of the side effects increase. These include swelling of the internal organs, limbs, acromegaly and possible higher risks of cancer. When following the traditional US pharmaceutical route acquiring HGH can be very expensive. It’s big business for those involved in the manufacture and distribution of the product, costing users up to thousands per month. This is especially true for those injecting excessively above average doses such as bodybuilders. Because of this, a black market exists for trading human growth hormone, which is illegal. The question still stands whether or not the benefits outweigh the costs of injecting growth hormone. Not only in a physical sense, but in a financial one too. Currently, there is not enough evidence to clarify if usage can be fatal.